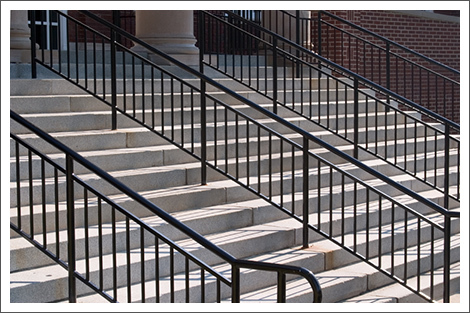 Anderson Railing in Wilmington, MA offers custom built iron railings. A metal railing provides sturdy support to a staircase or acts as a barrier to make decks and balconies safe. When you want a custom railing for your residential or commercial property, look no further than Anderson Railing in Wilmington, MA. Our well-designed railings are functional works of art that also add visual appeal to a living space. We serve the entire Eastern Massachusetts region. Our expert railing contractors design, sell and install custom iron railings that are sure to complement any architectural style and décor. We take pride in our superior customer service and are available six days a week for your convenience. Call us today to let us know about what you want in your customized railing.